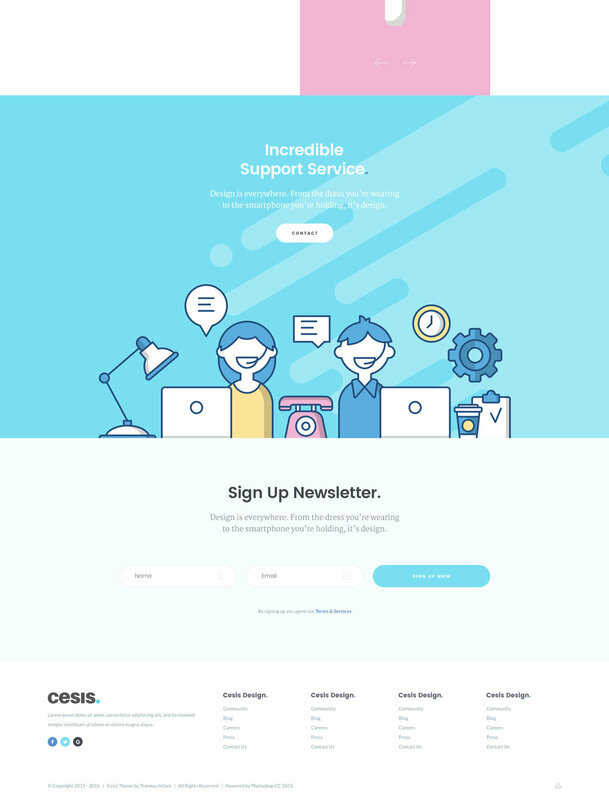 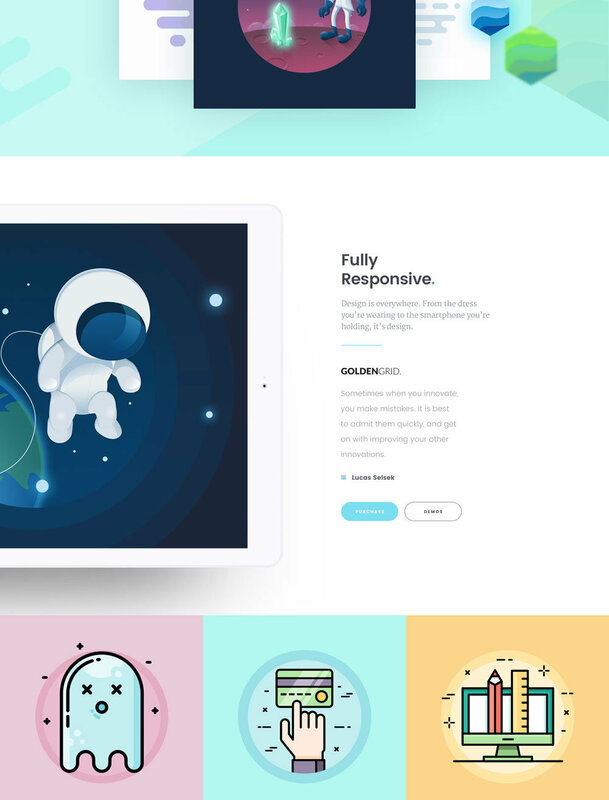 Cesis flat style One Page sketch app template is an outstanding design idea for website which is totally flat. 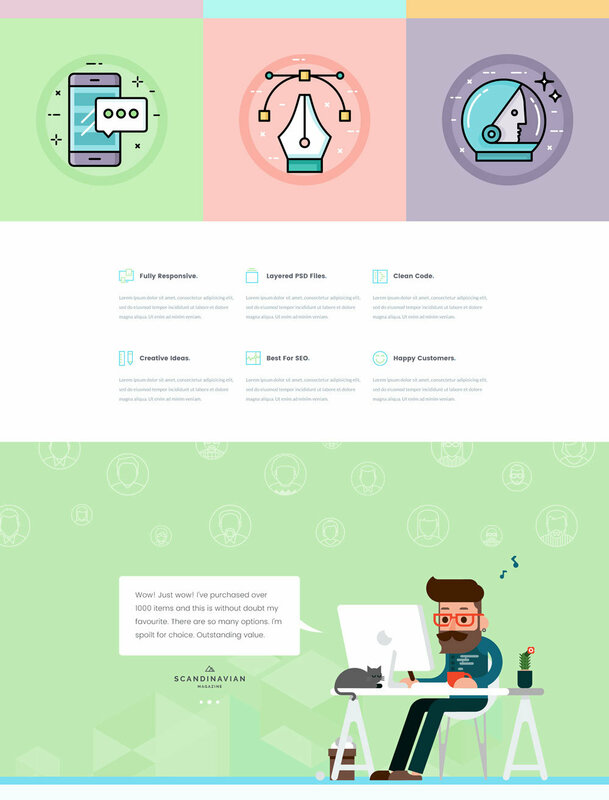 This is made by Sketch App which makes things easy to custom the design and change it into WordPress, Joomla, Woocommerce, Magento, Drupal, etc. 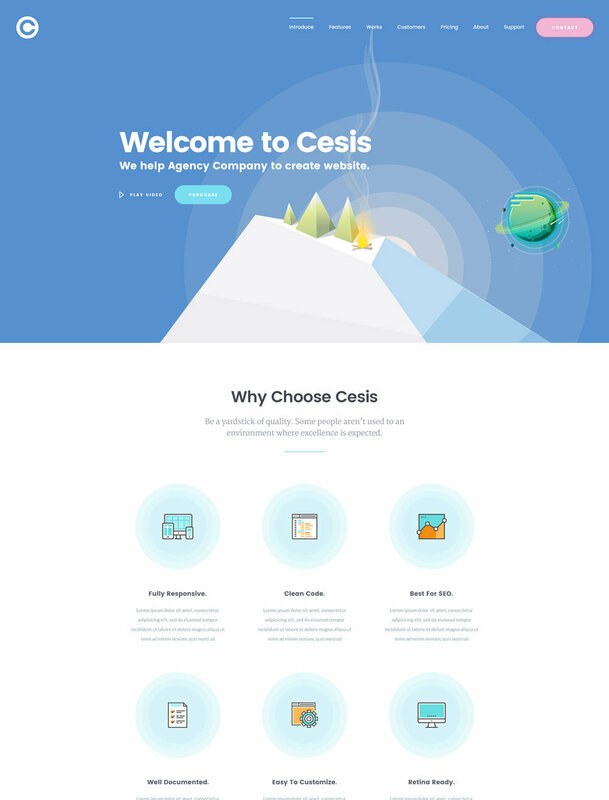 So, if you have minimal site, Cesis One Page is going to be a good for you. 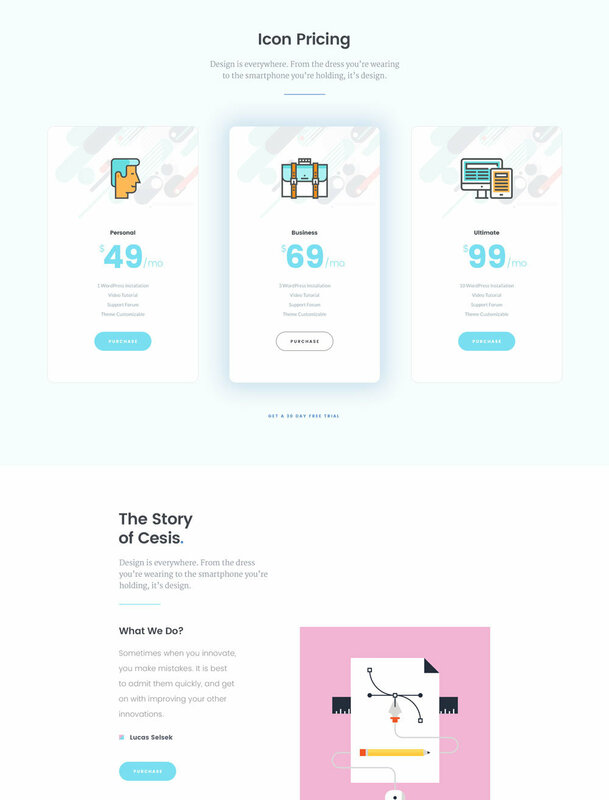 In sophisticated design trending, fresh color and dynamic, creative + Detail layouts and super smart spacing, Cesis One Page is really cool and awesome. 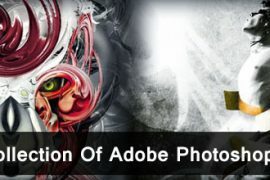 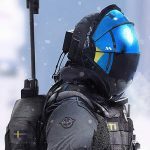 01 Stunning Perfect Pixel / Detail Layered Sketch File. 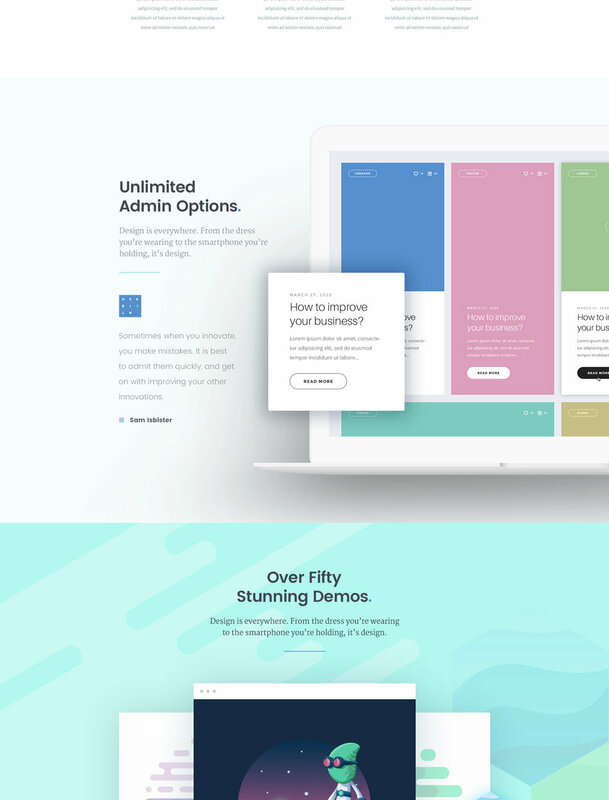 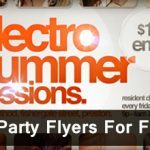 03 Artboards (Landing Page, Sign Up, Portfolio).